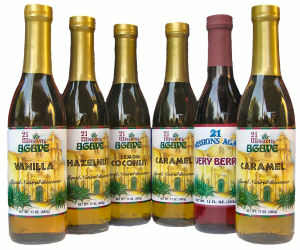 Create your own gourmet flavored agave four or six pack. 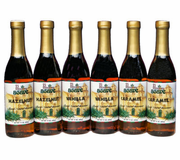 Choose from a variety of gourmet flavored Agave Syrups. Save w/ Free Shipping! Click the image below to select and order your custom agave gift pack. 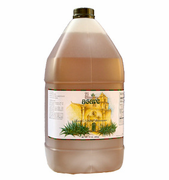 All of our Gourmet Flavored Agave Nectar's are extremely rich with intense authentic flavors that customers love. Made with 100% Blue Weber Agave Nectar and the finest flavoring, they transform the ordinary into the extraordinary. With our Multi-packs you can choose a wonderful assortment of Artisan Gourmet Agave Nectar's at a great price delivered to your door. 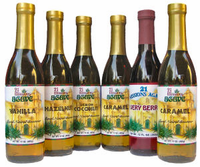 Agave Nectar and Flavored Agave Syrup multi-packs also make great gifts. Order a multi-pack today and enjoy the savings and convenience of having our Gourmet Agave Nectar's delivered to your door.